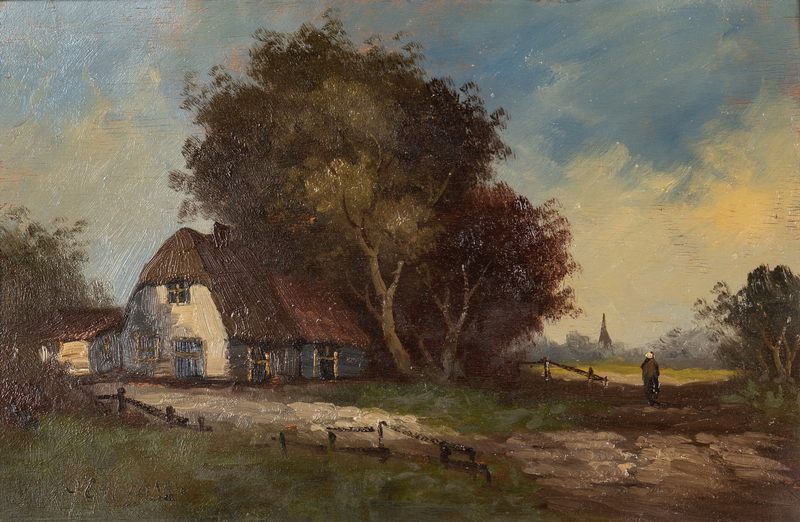 Two (2) European School oil landscapes, late 19th to early 20th century. 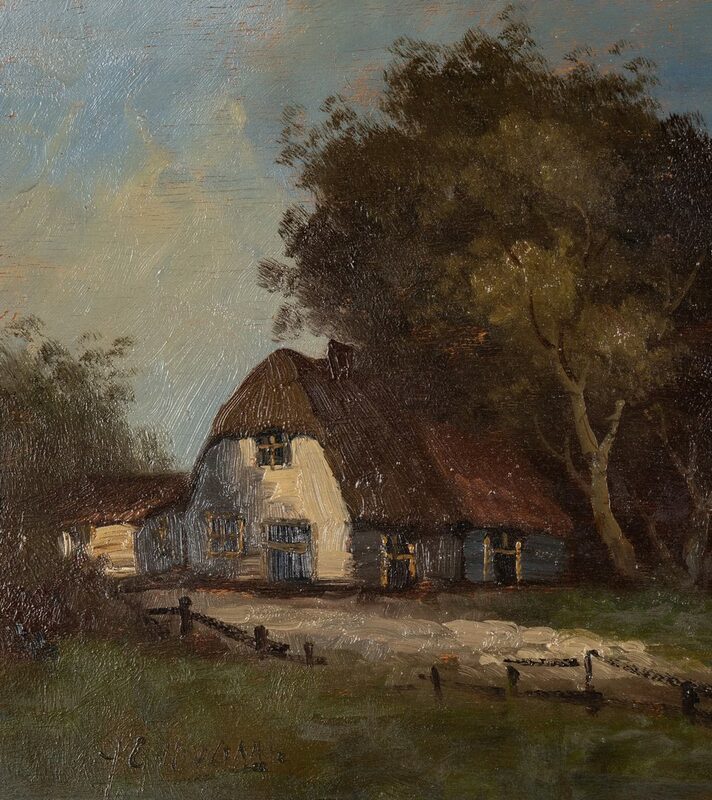 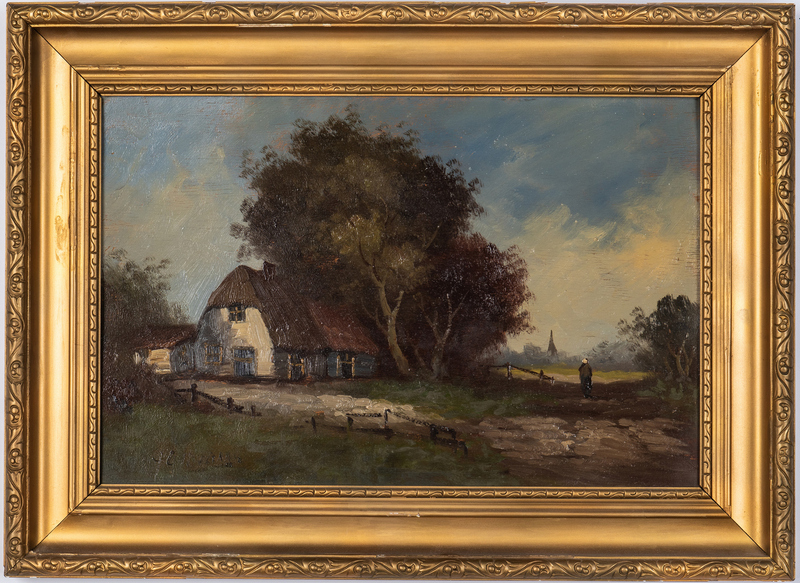 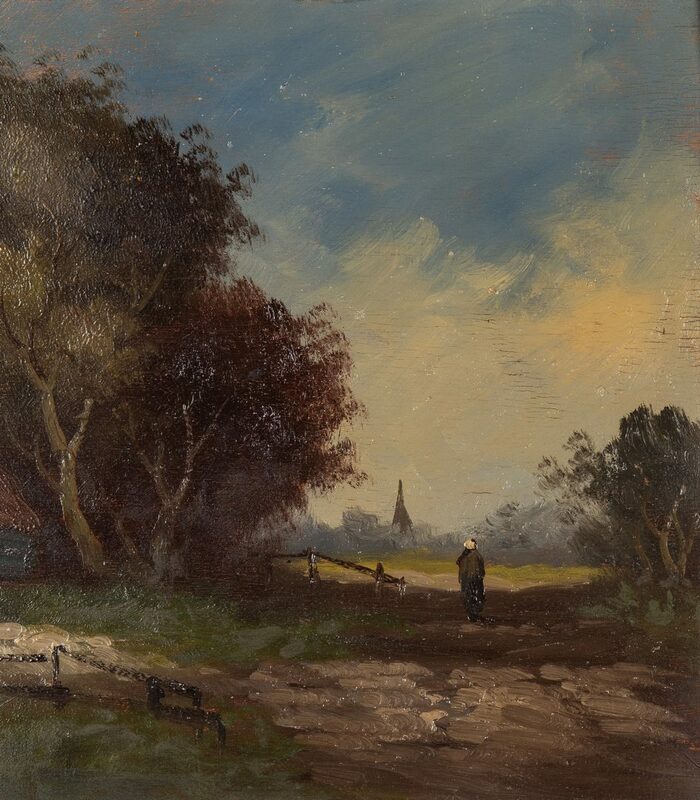 1st item: Oil on board landscape depicting a figure walking past a cottage with thatched roof, beside a grove of trees and gate; a church spire is visible in the distance and a partly cloudy sky is overhead. 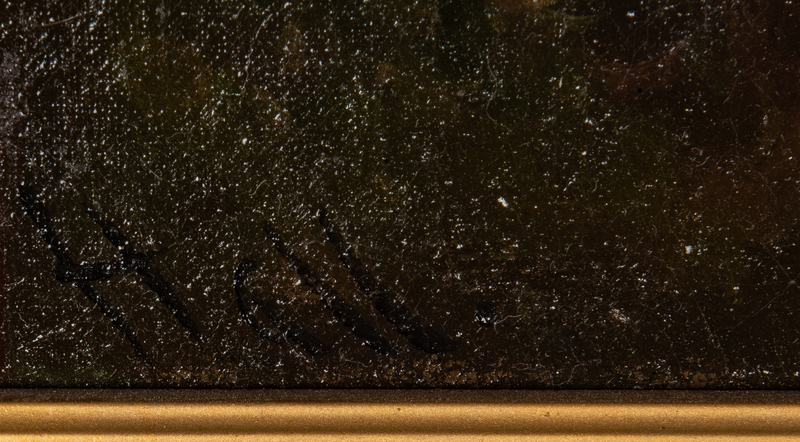 Signed "Giovanni" lower left. 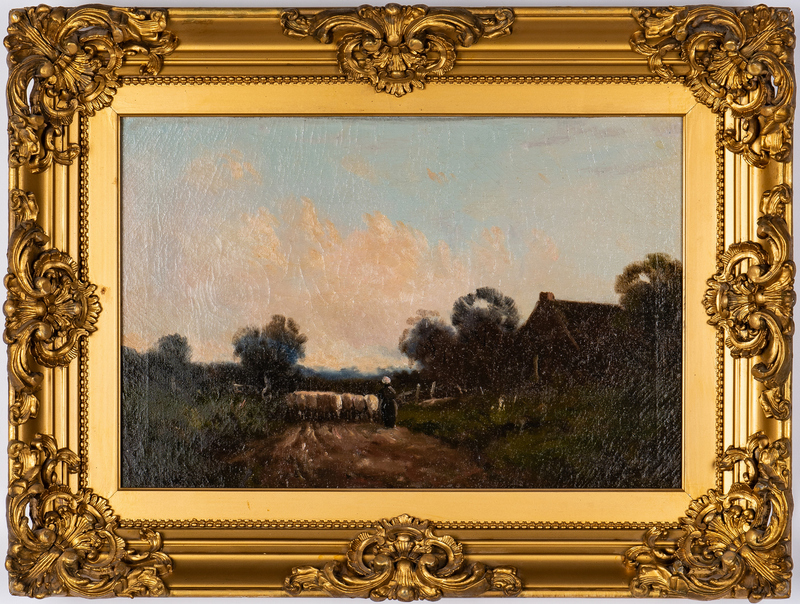 Early to mid 20th century giltwood molded frame. 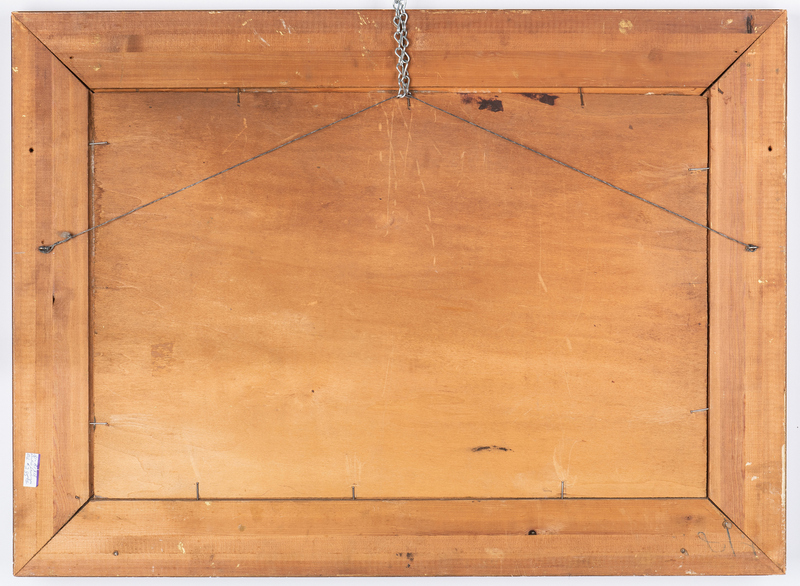 14 1/2" x 22 1/2" sight, 21" x 29" framed. 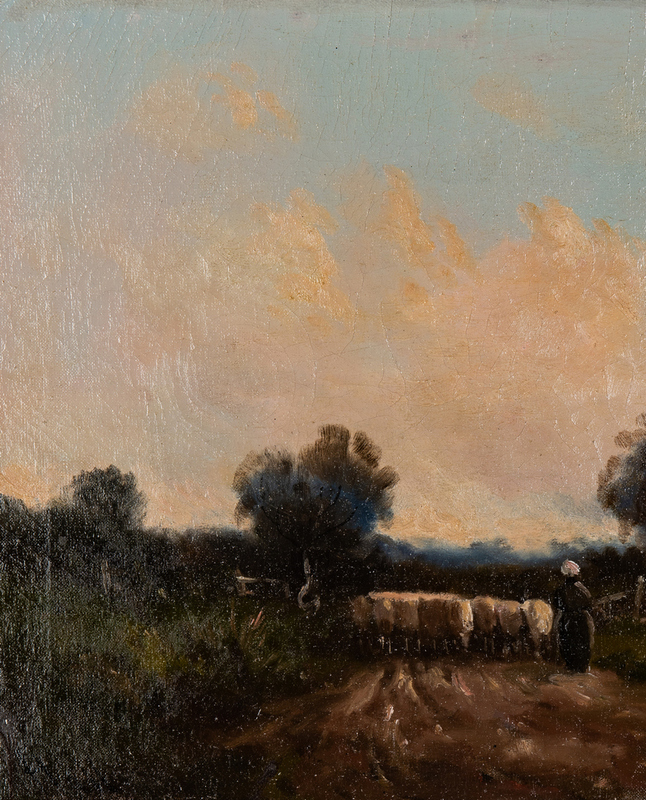 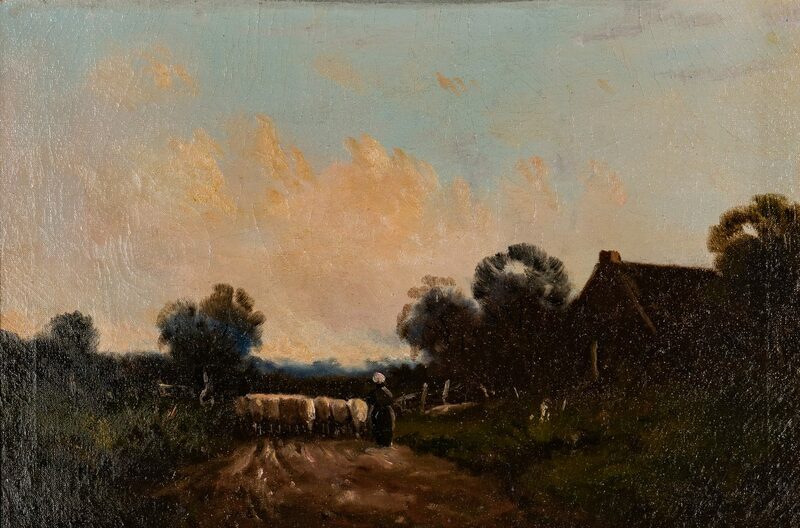 2nd item: Oil on canvas landscape depicting a figure guiding a herd of sheep down a country road, past a cottage, gate and grove of trees, with a darkening sky on the horizon. 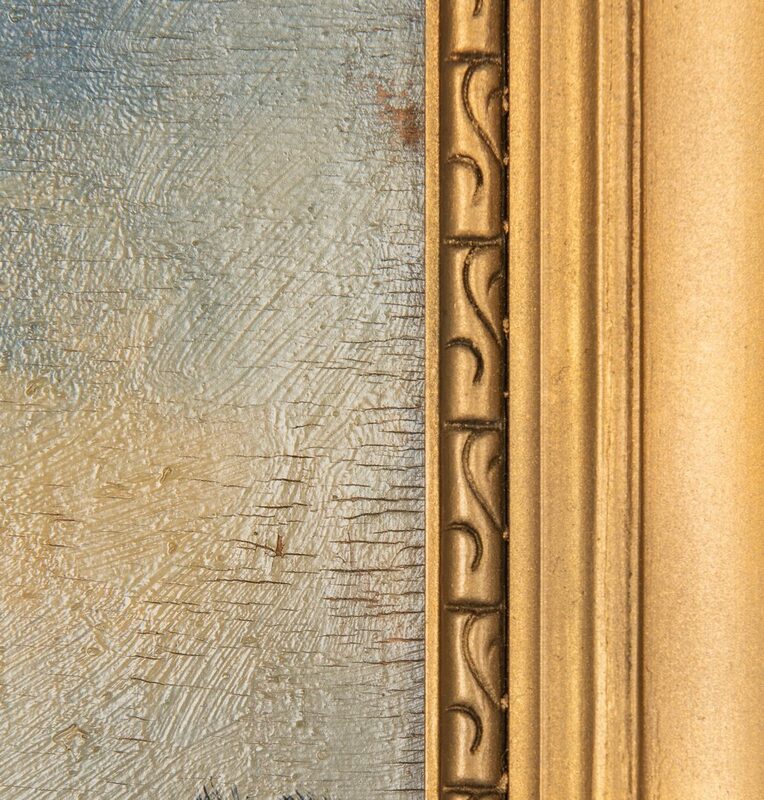 Antique giltwood molded frame with carved C scroll and shell decorations at centers and corners. 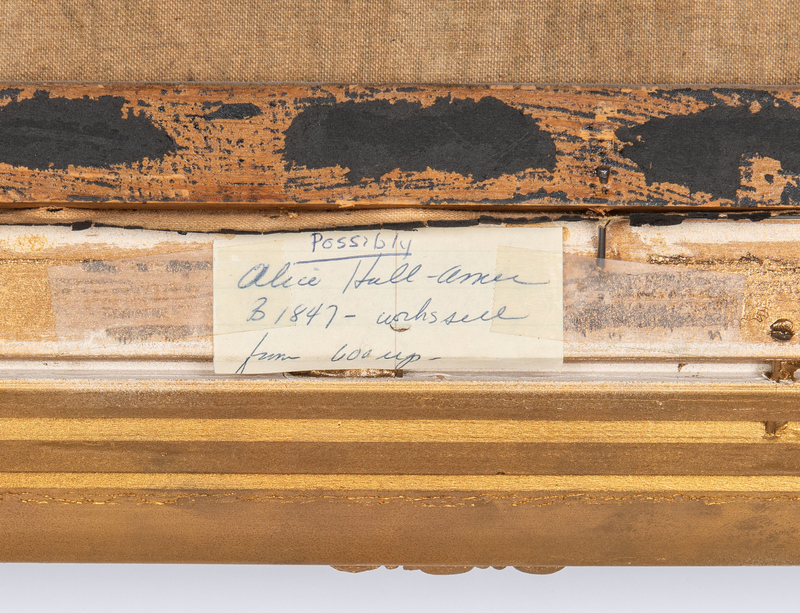 Signed "Hall" lower left. 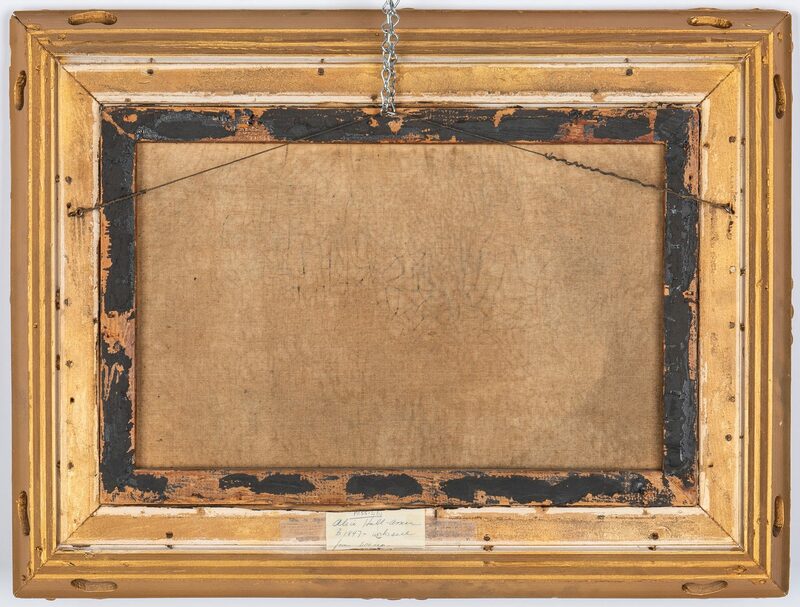 12" x 17 1/2" sight, 18 1/2" x 24" framed. Provenance: Estate of Celia (Cece) Webb, Nashville, TN. 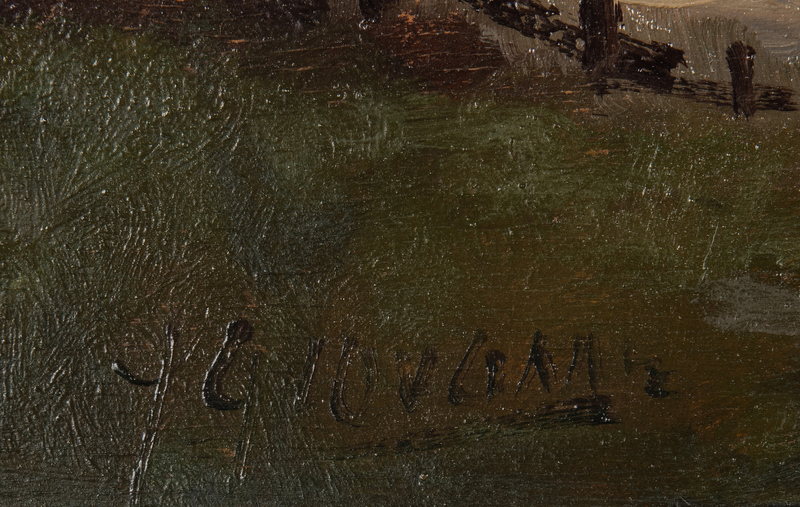 CONDITION: 1st item: Craquelure, scattered small flakes up to 1/4" in sky and tree area. 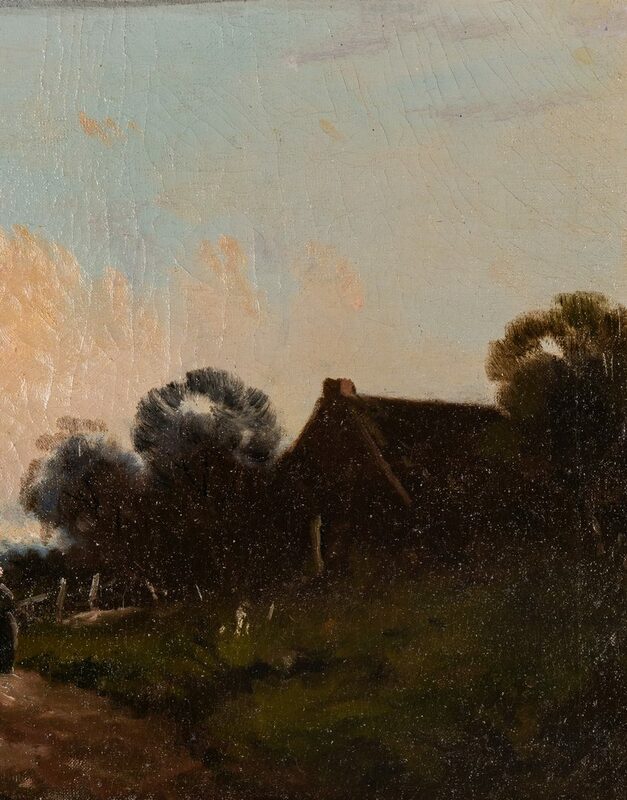 2nd item: Overall craquelure, impact craquelure center left side. Both have regilded frames with scattered small abrasions and wear.